APDCL Recruitment 2019 (एपीडीसीएल भर्ती 2019- सहायक और जूनियर प्रबंधक रिक्तियां, ऑनलाइन आवेदन करें): The Assam Power Distribution Corporation Limited had recently released a notification regarding the APDCL Junior Manager Recruitment 2019 of candidates. The notification contains information about the vacancies of Assistant Manager and Junior Manager in the different departments of Assam Electricity Board. The candidates who are from the technical branches and are searching Engineering Jobs are eligible to apply for the vacancy. 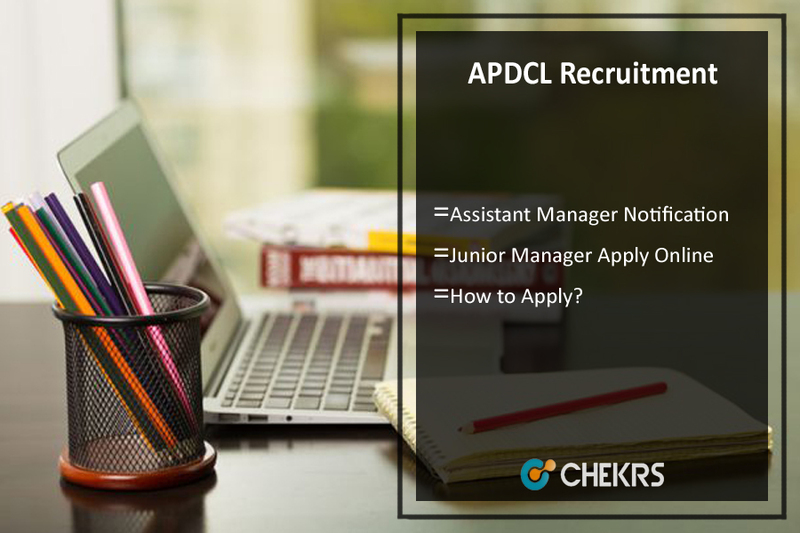 All the interested and eligible candidates are informed to check their complete APDCL Assistant Manager Vacancy 2019 details such as detailed notification, eligibility criteria, and the applications. The interested candidates will have to fill up forms before the due date. Latest Update: APDCL will soon release the Assistant Manager and Junior Manager Notification 2019 for various vacant posts. Interested & eligible candidates can fill the application form before the last date. The APDCL is the electricity board of the Assam. It has invited the candidates to apply for various posts in different divisions of electricity board such as AECGL, APDCL, and APCGL. The candidates who were waiting for a state Government Vacancy are informed to apply for it before the due date. The APDCL Recruitment 2019 Assam is an opportunity for all to join the prestigious division. More details regarding the job such as how to apply, selection process. The candidates who are interested in pursuing the Graduation Job of Managers in the power corporation can send their applications only through the online medium. The candidate can follow their application by checking the eligibility and the age limit mentioned by the department. Any APDCL Assistant Manager 2019 Application Form with the false or multiple registrations will be rejected. For ease in the ID registration, we will be providing a direct link to all. In the article below we have mentioned the steps to apply for the vacancy. Click on the link of the career section. Search and click on the link Apply online below the- Ongoing Recruitment for the post of Assistant Manager & Junior Manager in APDCL/AEGCL/APGCL. If you are an already user of the website login through the email ID and password. All the new users register it and then log in. Fill all the mandatory fields and correct profile details. Upload the self-attested documents, signature, and photograph. Tick on the declaration form. Candidates must have completed their Engineering degree from a recognized university or institute for the post of Electrical, Mechanical, Civil, IT, Instrumentation. Candidates applying for the post of HR must have done Full-time MBA in HR Management/ Personnel Management from University approved by AICTE. Candidates applying for the posts in Electrical, Mechanical, Instrumentation, and Civil should have a Diploma degree in the respective fields from a recognized university or institution. Candidates must have received their degree from a full-time course. The candidates must have attained 50% -60% marks in their degree period. The minimum age of the applicant for the post of Assistant Manager should be 21yrs and maximum should be 43yrs. The minimum age of the applicant for the post of Junior Manager should be 18yrs and maximum should be 38yrs. The pay scale of the Assistant Manager will be- 22,552/- per month. The pay scale of the Assistant Manager will be- 16,056/- per month. The score achieved in both the stages will be considered and marks will be given on the basis of it. The candidates excelling at both levels will be selected and appointed for the vacant posts. In the case of any query or review in terms of APDCL Recruitment 2019, you can place your valuable comments in the commenting section below. Our team will get in touch with you in a short while.